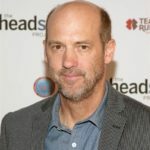 Anthony Edwards is an American actor and director. He is best known for his role as Dr. Mark Greene on the first eight seasons of ER, for which he received a Golden Globe award and six Screen Actors Guild Awards, and was nominated for four consecutive Prime time Emmy Awards. Additionally, he has appeared in various movies and television shows, including Top Gun, Zodiac, Miracle Mile, Revenge of the Nerds, Planes, and Northern Exposure. "There’s really no point in having children if you’re not going to be home enough to father them." "Flying back from New York, the flight attendant said ‘God, I wished you were here yesterday, we had a stroke on the plane. I said, if I have a stroke on a plane, I hope the pretend doctor isn’t the one on the plane. I want a real doctor."